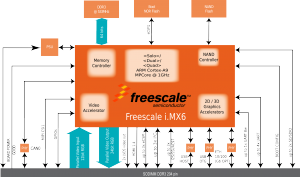 AXEL LITE is the new top-class Single - Dual - Quad Core ARM Cortex-A9 CPU module by DAVE Embedded Systems, based on the recent NXP/Freescale i.MX6 application processor. Axel Lite is a family of system-on-modules that belongs to DAVE Embedded Systems Lite Line product class. 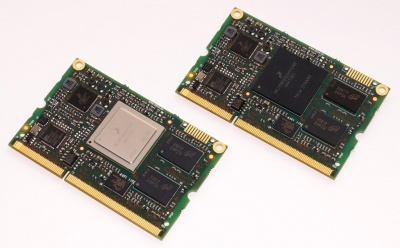 Thanks to AXEL LITE, customers have the chance to save time and resources by using a compact solution that permits to reach scalable performances that perfectly fits the application requirements avoiding complexities on the carrier board. Axel Lite Hardware Manual provides detailed information about hardware interfaces and characteristics. This document will provide a functional overview of the module and will focus on system-related issues. Please visit AXEL LITE Web Page for more product information. This category collects all the pages specific to AXEL LITE modules and related carrier boards. This page was last modified on 9 October 2018, at 09:35.